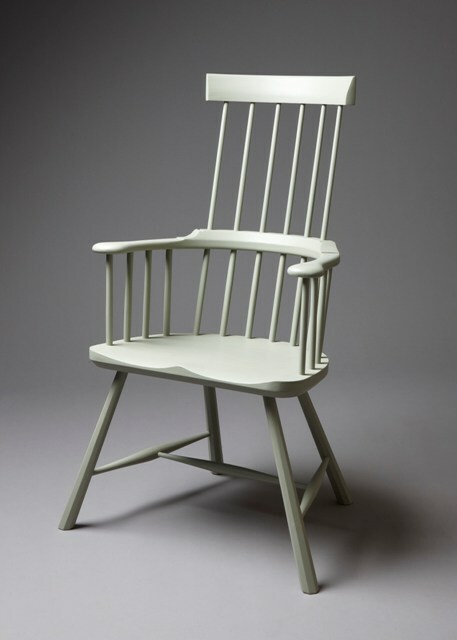 Chris Williams is a skilled artist and craftsman, based in Carmarthenshire.Like his mentor, the late John Brown, author of the Welsh Stick Chair (1990 Stobart Davies), Chris was inspired by the craft of the Welsh stick chair makers, whose methods were largely unchanged since the 13th century. 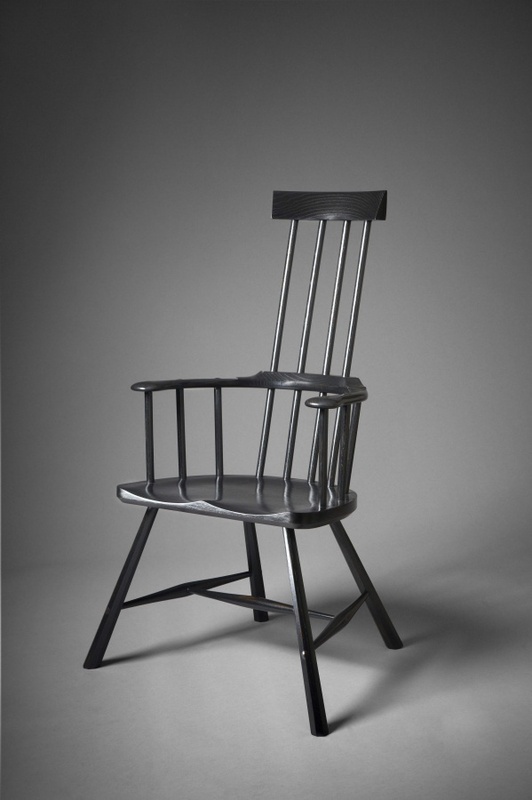 His chairs are made entirely with the use of traditional hand tools and made from oak, elm and ash sourced in Wales, where they are sought-after and collected. 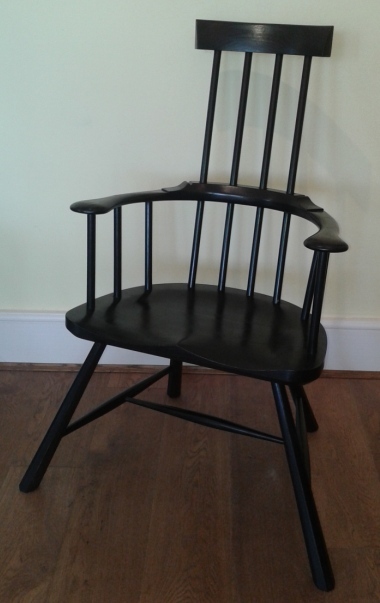 Here in a move away from the modern desire to “see the wood” and thereby the usual French polish or waxed finish, he has finished this chair with traditional milk paint. 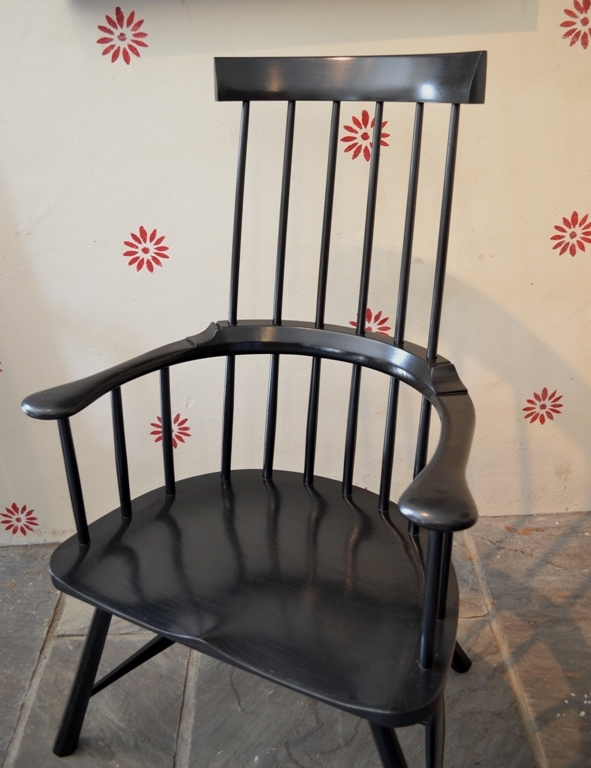 Because of this, the eye is not distracted by the grain of the wood and concentrates on the form of the chair.